Along with the Yoda Chronicles Book DK Publishing was kind enough to send me a copy of the LEGO Play Book, a sequel of sorts to their 2011 LEGO Ideas Book. In a nutshell the LEGO Play Book is awesome and the perfect gift for any Lego fan, whatever their age. 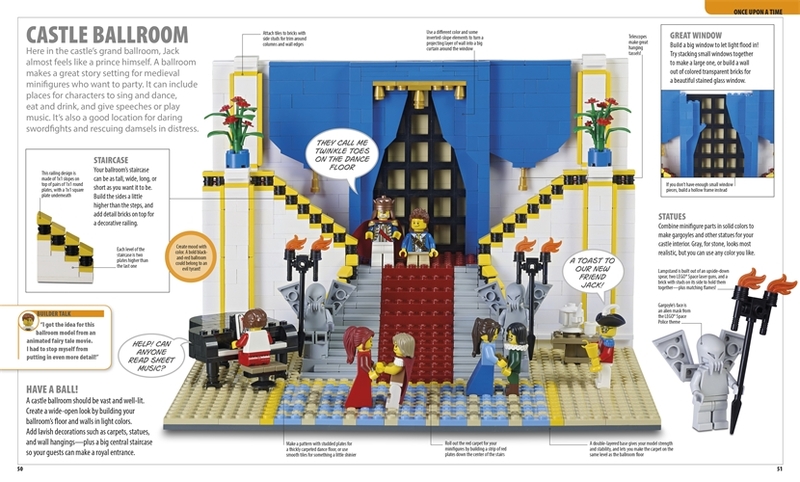 In situations like this, The LEGO Play Book is highly visual, images speak louder than words. Let’s start by taking a look at the book’s contents pages (all four of them). 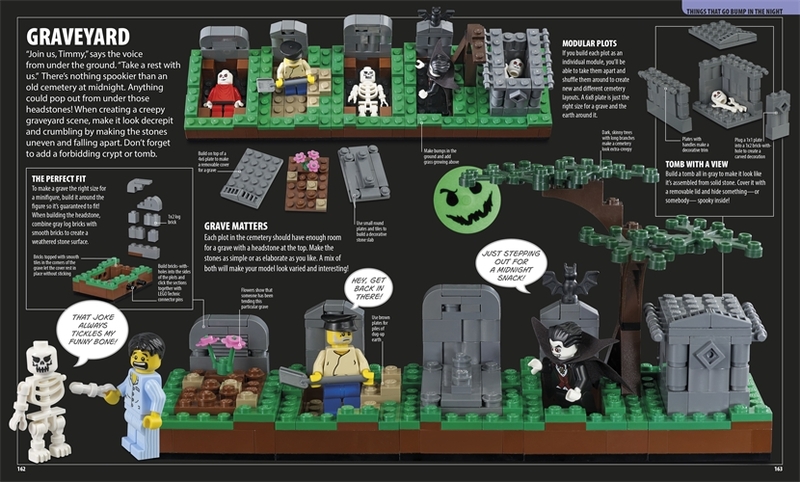 Just at a glance, you can see that the book covers a wide variety of LEGO themes, models and styles. 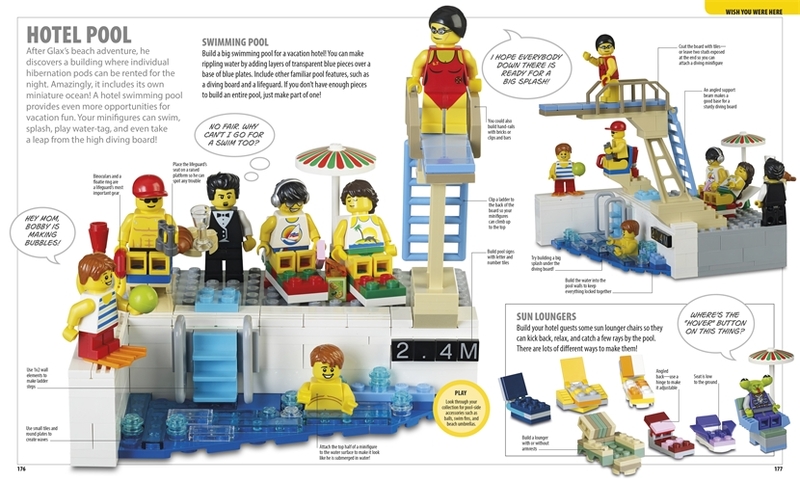 On each of these pages is a myriad of images featuring creations from different LEGO design experts. Keep in mind that this is not an instruction book, but is instead a book of ideas and models, perfect to inspire builders in their own creations. 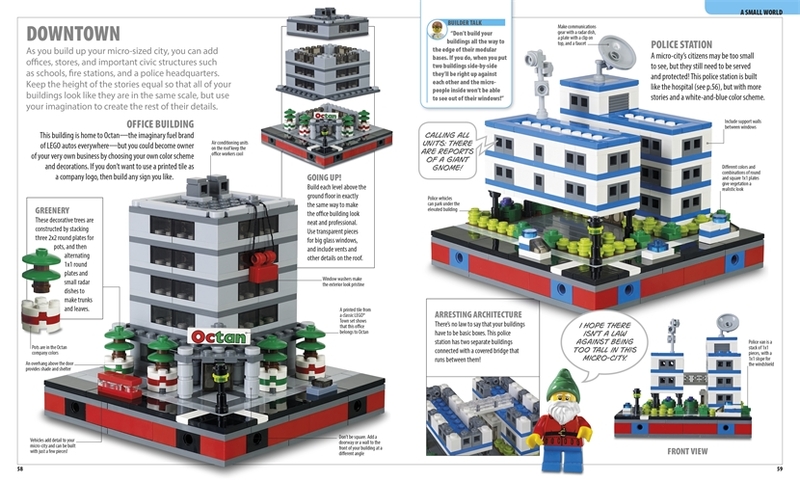 The book doesn’t give you step-by-step instructions to build the models featured on its pages but instead is meant to be used as inspiration, chock-full of ideas that will definitely widen your perception of LEGO’s capabilities as an art form. While there are no instructions, there are notes to accompany most models which give readers an insight into the particular pieces, colors and techniques the builders selected to make the model. To help you out there is also a very handy LEGO piece Visual Guide in the front of the book as well as 2 pages of hints and tips to help with building ideas and techniques. 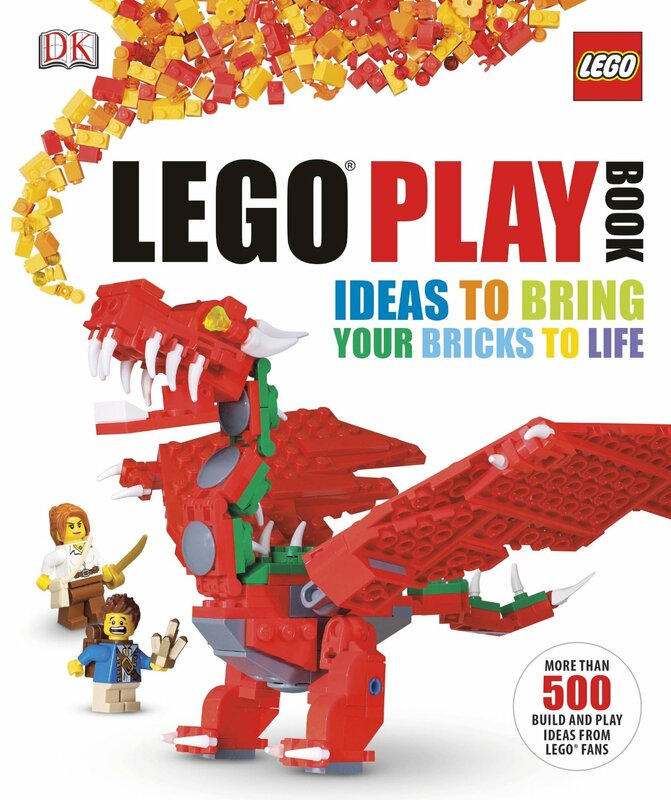 The LEGO Play Book would make a perfect gift for any LEGO fan. While young readers can skip over the words and flip through the hundreds of images for ideas, older readers will appreciate the numerous hints and tips on each page. Organised in imaginatively themed chapters, covering everything from a LEGO safari and life under the sea to extreme sports and beach scenes. This book is designed to teach you how to get the most play out of your LEGO models. With over 200 building ideas and tips, including suggestions for “ten-minute builds”, “cool brick” features and “a handful of bricks”, you’ll discover endless LEGO possibilities. Advice from LEGO fan builders encourages you to get creative while developing your LEGO skills and knowledge of new bricks and tricks. With a mixture of LEGO models, from the very simplest to the more complex, LEGO Play Book is perfect for everyone; for beginners and more accomplished builders alike.